We have decided to write two mini supplement articles for the Thursday – book series by author Jasper Fforde. 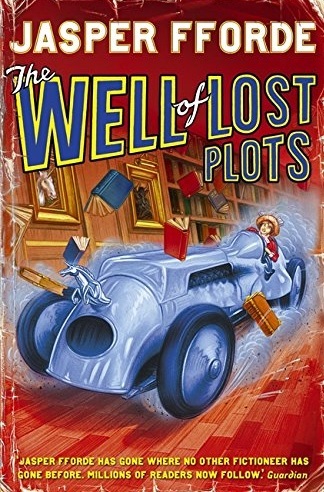 In the series of two mini articles talking about books Lost In A Good Book and The Well of Lost Plots respectively, today we are going to give you brief information about The Well of Lost Plots, the third in the Thursday book series by Jasper Fforde. It is worth to note that both these book are written in continuity of The Eyre Affair. This third book explore adventures of LiteraTech detective Thursday. The book picks up from where we left her in the world of books. She is now a “Jurisfiction” agent and we travel around with her as she learns her work and gets through some more hair raising incidents. “Books are a kind of magic”…. and this book lets you explore this fantastical world with Thursday…. Not as good as previous 2 installments of the book. It is also priced high. But you can go for when you have time to kill, and you will enjoy it.